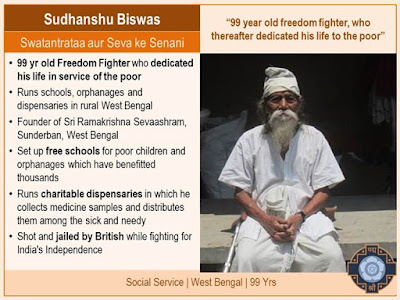 Republic Day 2018: These awards are given in various fields such as literature and education, art, sports, social work, medicine, science and engineering, civil service, public affairs, trade and industry. 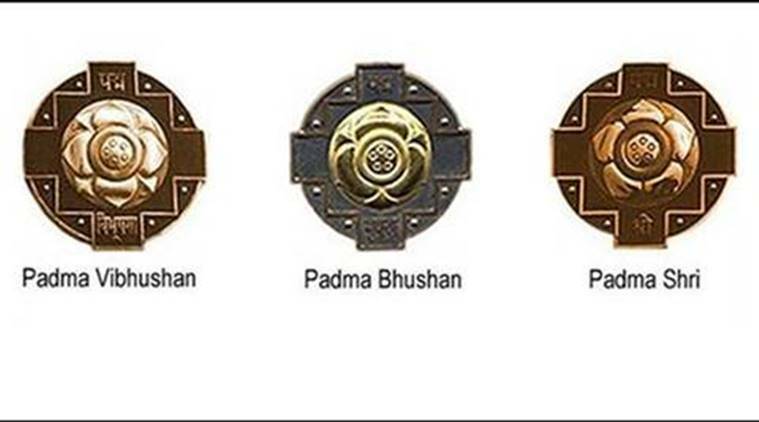 At least 85 eminent personalities were conferred with Padma Awards this year – three Padma Vibhushan, nine Padma Bhushan and 73 Padma Shri – said the Ministry of Home Affairs on Thursday. 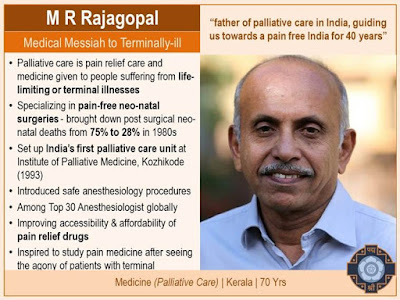 “Among them 16 are NRIs, PIO. 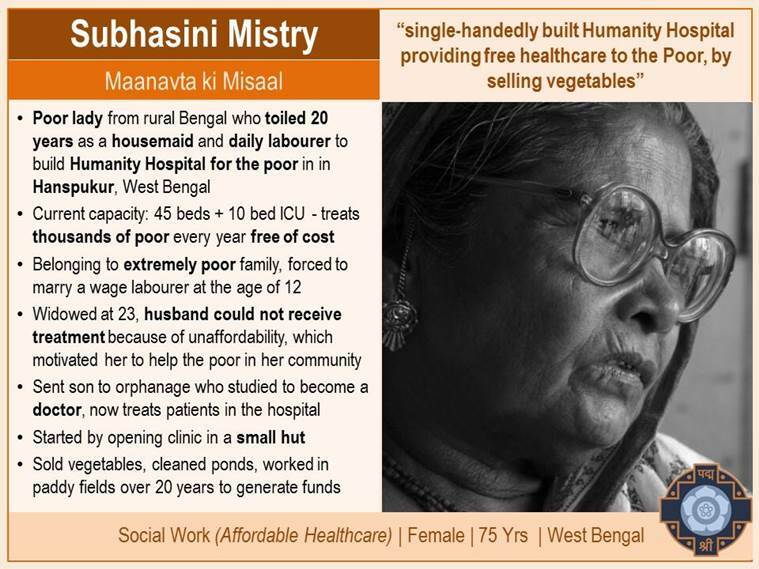 Last year 89 persons were awarded Padma,” said MHA in a statement. 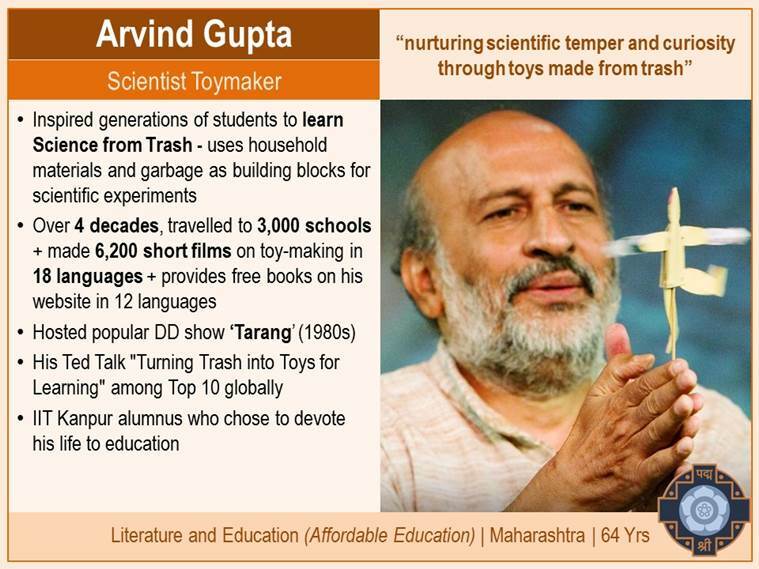 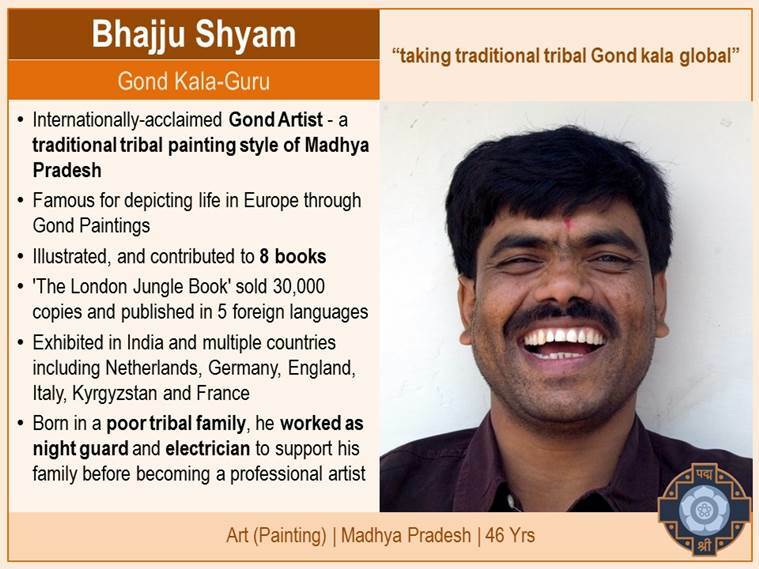 Like last year, Padma Awards continue to have the category as ‘unsung heroes’. The second highest civilian award was processed through online nominations, where nearly 35,000 applications were received. As many as 22 persons were chosen this year with special emphasis on giving recognition to people who have rendered selfless service at a grassroots level. A senior government official said, “Not just excellence, but “Excellence Plus” was the criteria throughout the entire process”. Among the awardees are Lakshmikutty for Medicine from Kerala, Bhajju Shyam, a Gond artist from Madhya Pradesh, Sudhanshu Biswas, a 99-year-old freedom fighter from West Bengal for rendering social service, MR Rajagopal from Kerala for treating terminally-ill patients, Arvind Gupta from Maharashtra for inspiring students to learn from trash. 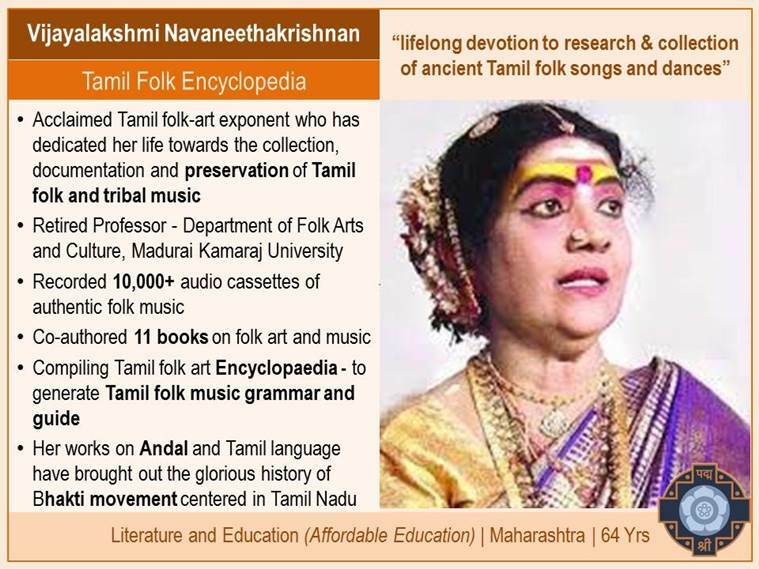 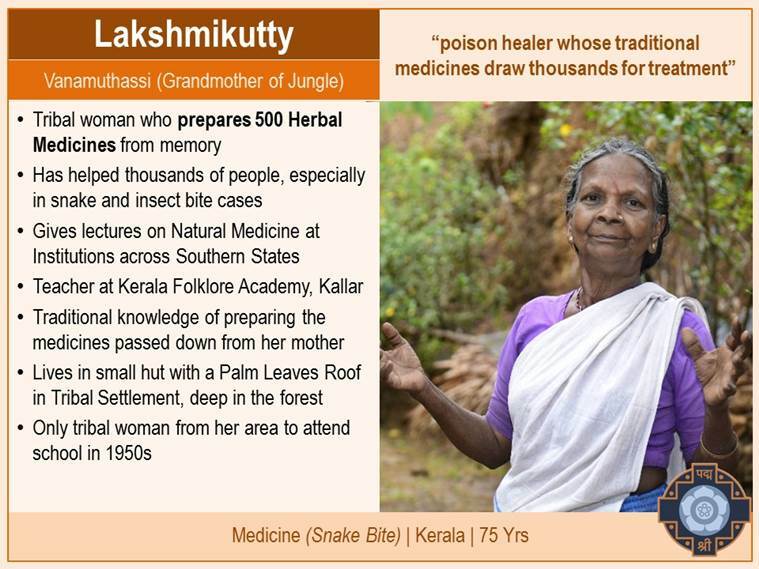 Similarly, Vijayalkashmi Navaneetha Krishnan was conferred with Padma Shri for Literature & Education from Tamil Nadu. She is an acclaimed Tamil folk art exponent. Murlikant Petkar was given in Sports (Swimming) from Maharashtra. 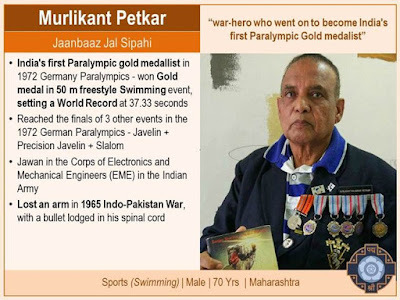 He lost an arm in the 1965 Indo-Pakistan war. 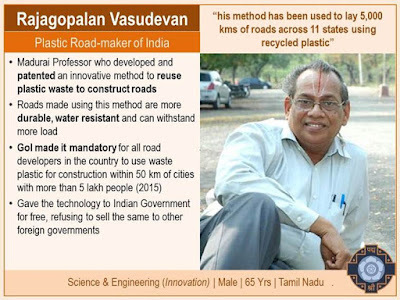 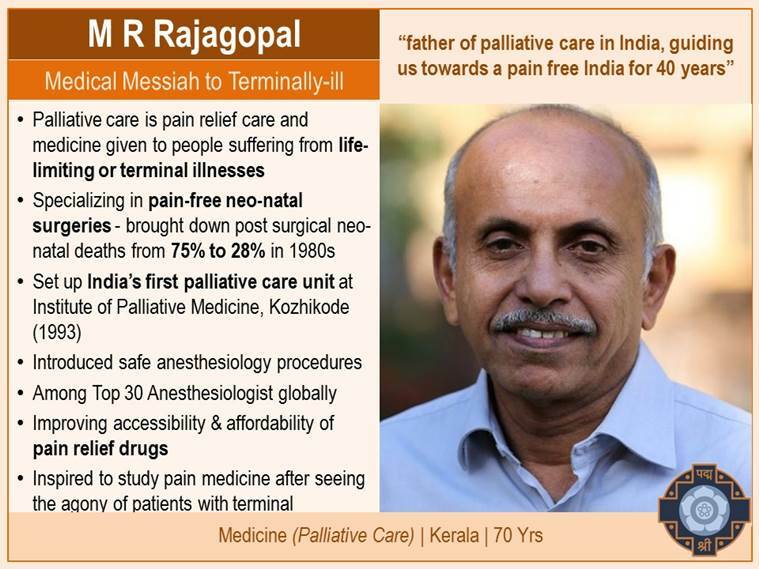 Rajagopalan Vasudevan received for Science & Engineering (Innovation) from Tamil Nadu, Subhasini Mistry for social work from West Bengal, Sulagatti Narasamma for Medicine from Karnataka and Yeshi Dhoden for Medicine from Himachal Pradesh. 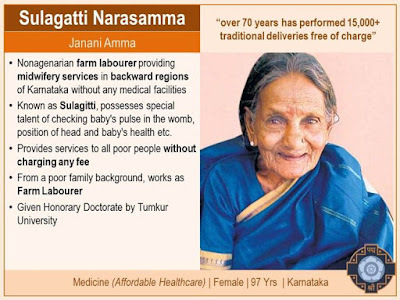 Couple Rani and Abhay Bang were awarded for doctors who transformed health care in Gadchiroli in Maharashtra and Lentina Ao Thakkar from Nagaland, who served for decades at a Gandhi Ashram in Nagaland. The prestigious awards, which include Padma Vibhushan, Padma Bhushan and Padma Shri, are announced annually on the eve of the Republic Day. These awards are given in various fields such as literature and education, art, sports, social work, medicine, science and engineering, civil service, public affairs, trade and industry.